Ever wondered why you doodle during an important meeting at the workplace? Or when drawing up your to-do list? It’s because doodling and drawing helps one release stress without even realizing it. Now think about how you involuntarily reach for a glass of wine to unwind at the end of a long day. It’s because alcohol, including wine, is a central nervous system depressant and calms the nerves. 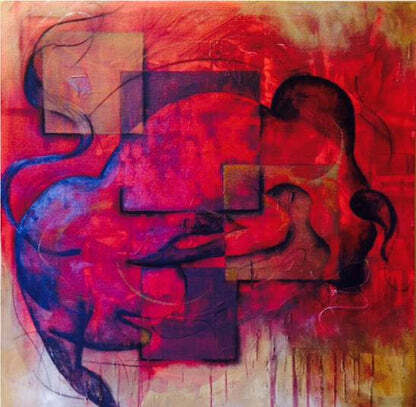 Put these two therapies together – art and wine – and you have a winning formula to keep stress at bay! 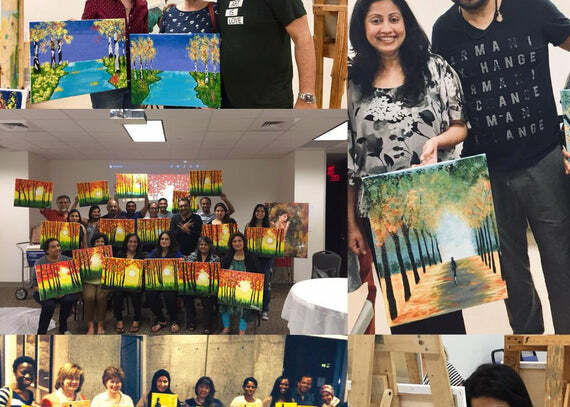 Cork N Canvas, a corporate and social team-building event, led by well-known contemporary artist Gopaal Seyn in Houston, Texas, does exactly this. 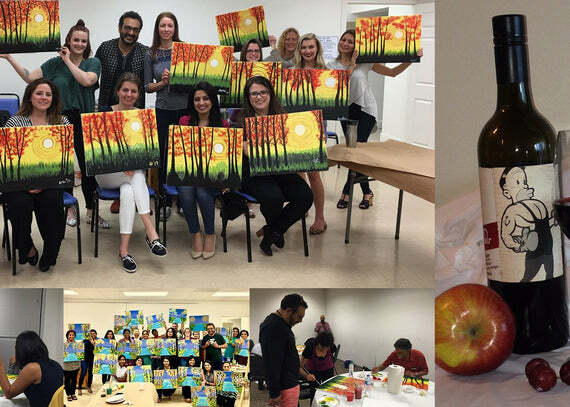 Gopaal Seyn, who is an American contemporary artist of Indian origin, started Wine & Paint therapy classes in Houston, Texas, to reduce stress and it’s become quite a talking point in social and corporate circles! Wine, cheese and art are provided so all you need to bring along is a positive attitude and the willingness to learn. Book a Cork N Canvas session at (https://www.redbluearts.com/pages/contact-us ) Red Blue Arts – Journey of a True Artist, a website by and about Seyn, and find out for yourself. Three-hour classes are available for $50 per person and you must be 21 or older to attend. Never mind if you’ve never tinkered with painting before… at the end of the session, you will be astonished at how you created a masterpiece from scratch! So, what are you waiting for? It’s time to stop whining and start wine-ing at Cork N Canvas.